Fake Plastic Tunes: Radiohead - "the world's first* Newspaper Album"
•The Newspaper Album will be shipped from Monday 9th May 2011 you can, however, enjoy the download now. •One lucky owner of the digital version of The King Of Limbs, purchased from this website, will receive a signed 2 track 12" vinyl. Competition closing date 28th March. So there it is straight from the horses mouth. Now that the whole moon theory is being shot down with nothing new coming today 3/19/2011 on the Super Moon date we move on and have a few more theories of what may come. I am certain that there will be more songs or even albums added to "THE NEWSPAPER" album or The King of Limbs. 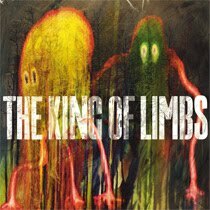 There is where I think a lot of us have missed the boat on the whole release of The King of Limbs 2. Look right on Radiohead's website where they describe the album and the purchase details. The very first thing on the page in bigger font it says "Newspaper Album - PRESALE" not "The King of Limbs - PRESALE". Then right after that it says "Radiohead's new record, The King Of Limbs, is presented here as the world's first* Newspaper Album". It makes it strange the difference between the actual 'Newspaper Album' compared to the 'The King of Limbs record'. It makes me think that TKOL's is actually just a part (or Record) on the 'Newspaper Album' and not the actually 'Newspaper Album' itself. Think of an actually newspaper what is included? You get the News section, Business section, Sports, Classifieds, Entertainment or whatever else newspapers have to offer. So why would this "the world's first* Newspaper Album" only include one section (The King of Limbs)? Sure you can say there is the 625 tiny pieces of artwork, or the Two clear 10" vinyl records, or the actual 8 song disk but that clearly is not enough to devote it as "the world's first* Newspaper Album". It could mean once The Newspaper Album is shipped on Monday 9th May 2011 that we will have an actual newspaper of albums (or songs)not just an eight song 'Record' aka The King of Limbs. TKOL was more of a Thom Yorke record then a Radiohead record and being this newspaper album it could mean having each band member having his own 'Section' of this 'Newspaper' album. Thom has the news section, Jonny gets sports, Ed gets Classifieds, Colin gets Business, and Phil gets Entertainment. I just feel that 'The King of Limbs' and this "the world's first* Newspaper Album" are two totally separate ideas. That The King of Limbs is just a part of this Newspaper album. What the actually release dates of any additional albums or songs will be is anyones guess. The whole moon theory was a way to actually have some kind of data for an actual date and time for more music. So really to release a total of 35 songs the band would probably only have to write about half of those new say 17 songs and the other half 18 or so would be from past songs they have featured live or have played in the past. Jonny stated in his latest interview with the BBC that the band is currently recording songs. "the world's first* Newspaper Album" clearly is more then the 8 songs featured on the 8 song "RECORD" The King of Limbs.